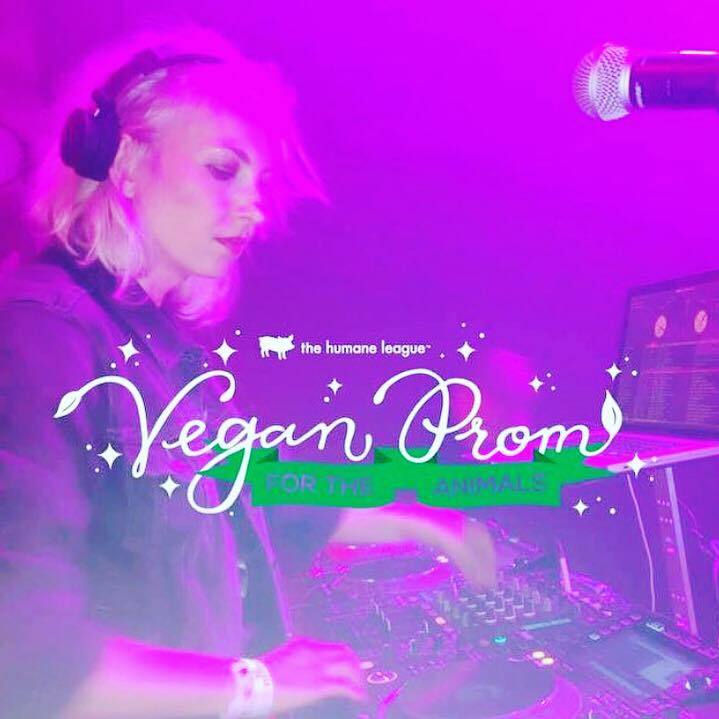 LA Hottest DJ, Valida, joins Awesome Vegans host, Elysabeth Alfano, in her kitchen to dish on music, being vegan, bunnies, Earthlings and spinning for The Humane League’s Vegan Prom. It was like sitting down with an old friend when LA Hottest DJ, Valida, joined me in my kitchen for an Awesome Vegans interview. Funny and high energy, Bosnian born Valida and I had lots to talk about. We dish on music, of course. And how she became vegan, of course. But we also discussed so much more: her volunteer work with bunnies, how the movie Earthlings impacted her, and spinning for The Humane League’s Vegan Prom with none other than Moby! Slightly wild and daring, Valida’s dynamic nature is infectious as I am sure you will find in this interview. I hope you can kick back and enjoy the full interview. At the very least, here is a snippet of how and why she went vegan. I have no idea why it took me 50 years to figure that out, but I love the humanness of Valida’s story. Very much, just like me, one day it dawned on her. She has the power. She always has. Of course, it doesn’t hurt that there are a GAZILLION new yummy plant-based food choices that make going vegan easy, affordable and not expensive. Even so, it is the single moment when it clicks, that I find so fascinating. That single moment when you realize you are empowered. I love that moment. It is life affirming. Here is Valida’s life affirming moment. Enjoy the podcast and video interview above. To be sure and never miss an interview or to be a part of the Facebook Live conversations, SUBSCRIBE to Awesome Vegans with Elysabeth Alfano on iTunes and on my Youtube Channel, Elysabeth Alfano and our monthly newsletter.